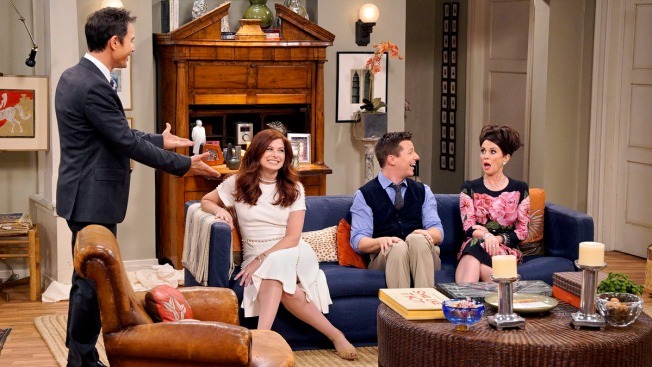 This image released by NBC shows, from left, Eric McCormack, Debra Messing, Sean Hayes and Megan Mullally in "Will & Grace." A new study says TV series are including more LGBTQ characters and adding gender-nonconforming ones. A new study says TV series are including more LGBTQ characters and adding gender-nonconforming ones. The study out Thursday from the media advocacy group GLAAD says that LGBTQ depictions increased in the current season across all TV platforms. But GLAAD said there remains a need for greater ethnic diversity and richer, more complex stories about the characters and their lives. The study also looked at how women fare on TV and found it wanting. While women make up an estimated 51 percent of the U.S. population, they're 43 percent of the regularly appearing characters on broadcast TV — a 1 percent drop from last season, GLAAD said.